Written and directed by Gillian Robespierre. With Jenny Slate. Opens Friday, June 20. 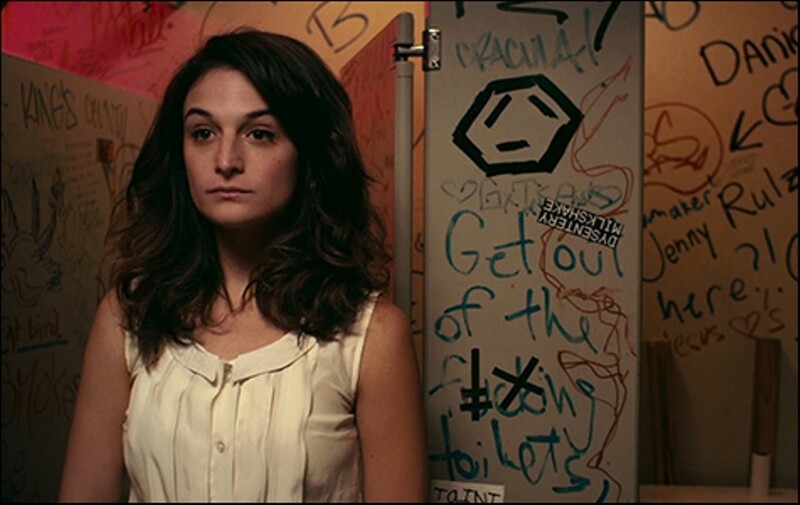 Despite what its publicity might indicate, Obvious Child is not exactly an abortion comedy. More accurately, director Gillian Robespierre's light-touch, "chick-flick"-ish drama is a prime example of what "indie" means, mid-2014. 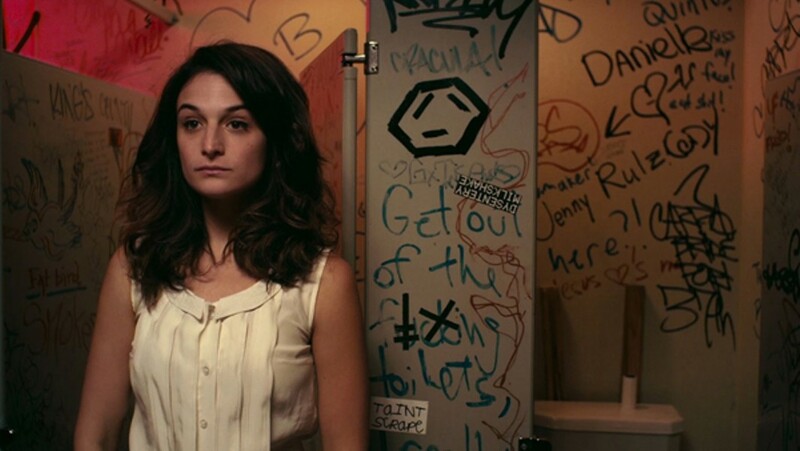 Showbiz-bitten Donna Stern (Jenny Slate) spends her evenings doing stream-of-consciousness standup comedy at a club in Brooklyn, near the apartment she shares with her supportive roommate Nellie (Gaby Hoffmann). As thin as Donna's material is — the routines rely on the humor inherent in bodily functions — it's the most positive thing she's got going in her life, especially when she gets the news that: a) her boyfriend is dumping her; b) she's losing her day job at a bookstore; and c) the new guy she met at the club the week she got dumped, Max (Jake Lacy), has impregnated her. What to do? Breezy, no-big-deal lifestyle comedies have played innumerable variations on this basic theme. The only thing new about Donna's predicament is that filmmaker Robespierre and her collaborators — writers Karen Maine, Elisabeth Holm, and Anna Bean — have decided to look the abortion issue straight in the eye as a narrative premise. What would getting an abortion mean to a woman like Donna? It's important to cast the right person. Slate, a 32-year-old TV sitcom veteran with a face that, from the right angles, does indeed resemble Anne Frank (Donna riffs on this in her act), can carry the weight. Her Donna is vulnerable and thoughtful (when she's not drunk), yet unfazed when her new friend Max farts in her face on their first date. The fart-in-the-face, vaginal-discharge-monologue stuff is part of the purchase price in getting the story of an otherwise sensitive soul like Donna in front of our eyes, at Sundance and art houses. Donna is a modern woman. And so when she ends up in a waiting room full of other modern women, with their hospital gowns and quizzical expressions, we can see where she's coming from. She's like all the rest, but different: Afraid to tell her parents or the "father" but ready to let everyone in the club audience know the story. And yet when she finally curls up with Max to watch Gone with the Wind we have a feeling she'll be all right. It's so obvious.